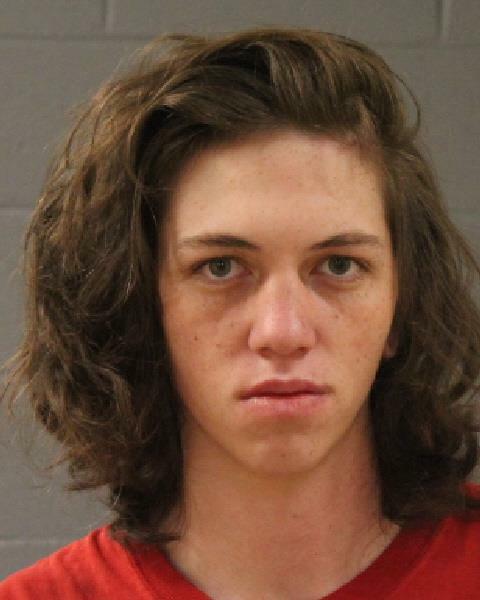 ST. GEORGE — A 19-year-old man has been charged with negligent homicide following an overdose death in Washington City earlier this month. According to court documents, the death was reported to police Jan. 7. Responding officers found drug paraphernalia and heroin residue near the corpse. Police have not identified the deceased nor specified exactly where in Washington City the overdose occurred. On Friday evening, detectives with the Washington County Drug Task Force served a narcotics search warrant on a residence in Hurricane where they detained Gadge Leelynd Christensen. Christensen was arrested and charged with misdemeanor drug and paraphernalia possession after detectives searching his room say they found a medical syringe, a spoon with a cotton filter, plastic tooter straws, a scale, a glass marijuana pipe and a piece of plastic baggie with a brown residue that later tested presumptively positive for heroin. After being questioned by detectives while in custody at Purgatory Correctional Facility, Christensen admitted to selling heroin to the individual who died weeks before, according to the probable cause statement written in support of his arrest. Christensen allegedly told police that he knew heroin is deadly, explaining to the detectives that he had a friend who overdosed on the drug a couple years ago. According to the statement, when detectives asked about the person who died of overdose Jan. 7, Christensen admitted he knew about the death and that he had provided the heroin that led to the overdose. After consulting with the Washington County Attorney’s Office, detectives determined Christensen’s alleged offenses would fall under a class A misdemeanor count of negligent homicide and a second-degree felony charge of distribution of a controlled substance. Court records indicate Christensen was released on $14,580 bond Monday. His initial court appearance is set for Friday. Not sure what’s to be done about these druggies. Building a wall would be a good start, because you can’t sell drugs to begin with if access is cut off. I am not saying the wall is a cure all, but the less drugs that make it into our country, the less there is to sell. So all sources must be tackled, the wall included. Are you for real? It must be nice to live in an ignorant little bubble that allows you to believe that the good ol usa could never produce their own drugs domestically. Yall can rationalize this wall all you want, tag it with a million different problems it would solve. But in the end when the ribbons and bows come off it still violates every principle and belief that this country was founded on. How can you even call yourself an american? How does it violate a single one, if any? Have you read the Bill of Rights or the Principles of Liberty? Many times it is mentioned that our people deserve a secure nation, secured land, and secured property. To protect us from invaders or even from our own government. I could go on, but I’m sure you have read this all before, and your post was made entirely in sarcasm. I’m not sure where or if you were educated but oil is shipped in large oil tankers (ships) on the ocean, not on land. Also, other goods are shipped in large trucks that go through inspection points at the border. Building the wall would NOT cut off imported and exported goods. A 19 year old beautiful young gal going to jail for many years if not decades for selling heroin that led to an overdose and subsequent death of another human being. 100% this heroin came from Mexico. Ok maybe 99%. Next, Mex Mafia controls the Heroin distribution in the Southwest through franchise gangs. Dear WA County Drug task force, FIND THE NODE and put the true killers in jail. And yes a border fence would make it harder for the multi MULTI billion dollar Mexican drug cartels to get their drugs nto this country. 2+2=4. It would allow more enforcement through TJ, Calexico/Mexicali & the Texas border hubs. KW, I’m gonna have to double check, but I believe that’s actually a 19yr old man in the photo there. But if it were a woman. It’s true, ol’ Gadge would not be a bad looking woman. I’ve always like a woman with nice hair, that’s for sure. My excuse is physical exhaustion from moving 9 Cu yards of landscape rock from Star Nursery via wheelbarrel into my backyard in the last 7 days while working at 55+. Your eyes don’t function well by the end of the day. No worry kw. He may never be america’s next top model or anything, but the hair and complete lack of facial hair could’ve fooled anyone–a fairly gender-ambiguous face complete the package. I might not go as far as to call him pretty or ‘beautiful’ as you did, but he’d def be a solidly decent looking young woman–a handsome woman, you might say 😉 . It is sad for all. Not sure what the parents of theil deceased child would want for his punishment, but if looks like there is hope that he could turn his life around. One way to find out is if he is willing to change, is if he accepts the consequences from his actions. It is really sad. It actually makes me mad. The madder I get I can’t seem to help but direct a lot of this anger at the druggies. You’ve lived a lot of this stuff, is this totally misdirected? Is it the suppliers? The dealers? In your opinion, where do we even begin with this stuff? This country has been in such a mess with this stuff for so long now. The heroin crisis is one that I have a hard time understanding as well. I have a very close family member who suffers from addiction but has turned his life around through narcotics anonymous. He has a sponsee. He works the program. NA is like organized religion, which I don’t larticularly love. However, it works in peoples lives. The only way to combat darkness is with light. The solution is easy and you can see it working today in many countries in Asia. The first time you’re caught you get a severe punishment including hard labor and caning or other corporal punishment. If you do it again and/or get caught with a lot of drugs then you are executed. Amazing how this cuts recidivism 100%. You can say this is barbaric but is it any more humane having our young people become heroin addicts because of all the drugs around? What’s needed is leadership and resolve. Something missing with all the snowflake voters these days. BTW, this young man better get a haircut fast. Otherwise they really will turn him into a girl in prison!